Brand New Quintrex 450 Fishabout, one of our most popular models. Perfect for relaxing with skipper seats and a rear folding lounge and complete with the new Blade Hull. The 450 Fishabout is just a perfect allrounder and with a great smooth ride. 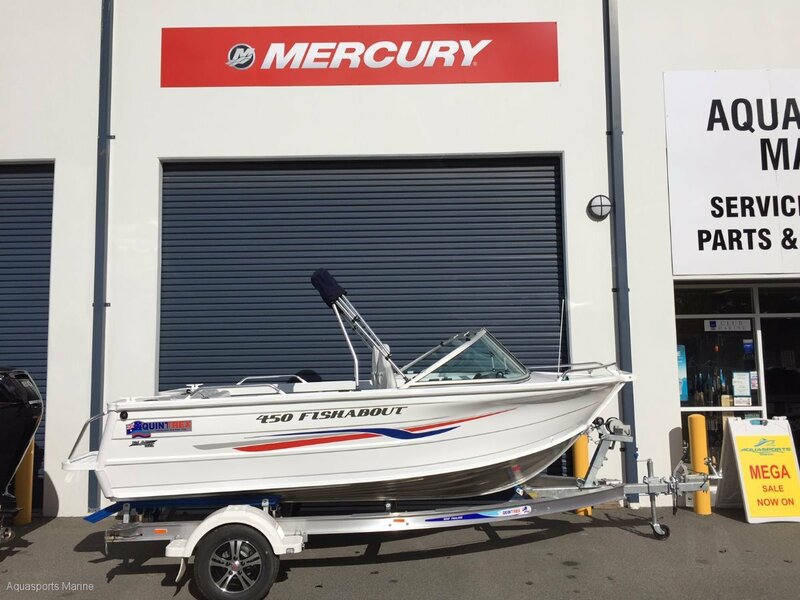 We offer full turn key packages with Mercury or Yamaha 4 Stroke outboard options.